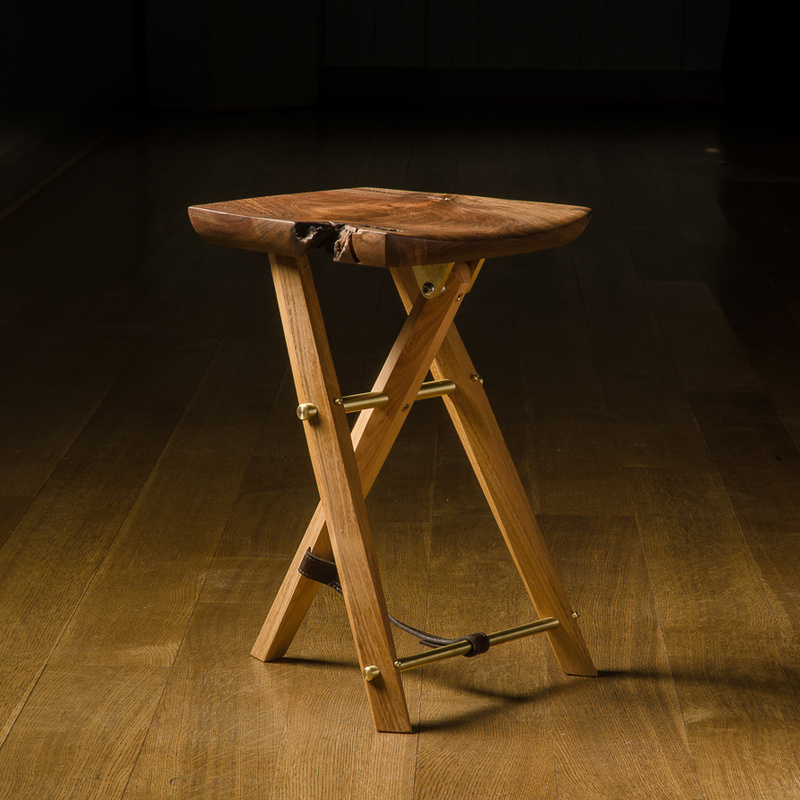 When I joined the family woodworking business as a partner last year I was confronted with a legacy. 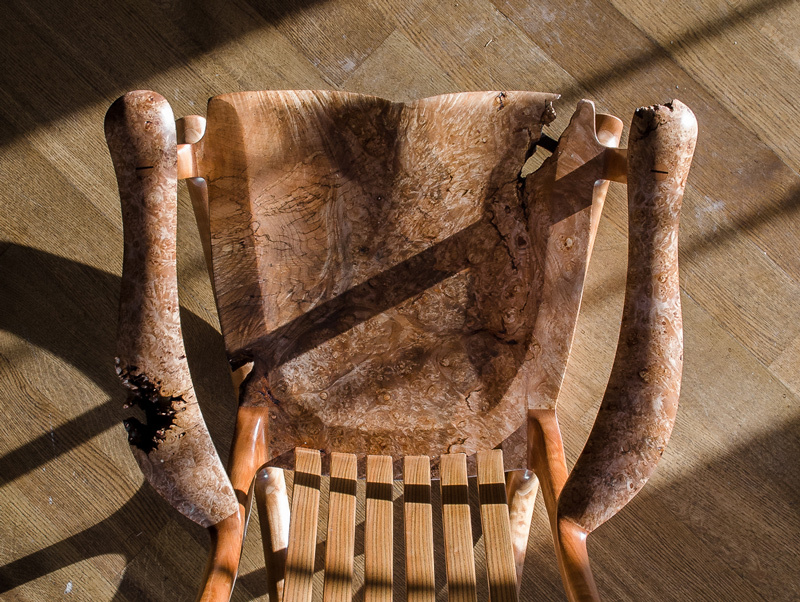 My father’s rocking chair design—a contoured chair with moulded joints in a lineage that included Danish designer Peder Moos and California builder/designer Sam Maloof—had been around for over 30 years and was in the permanent collection of the Smithsonian Museum. Up against that kind of history I wanted to do something that would make the design at least partly my own, and so the Living Chair was born. 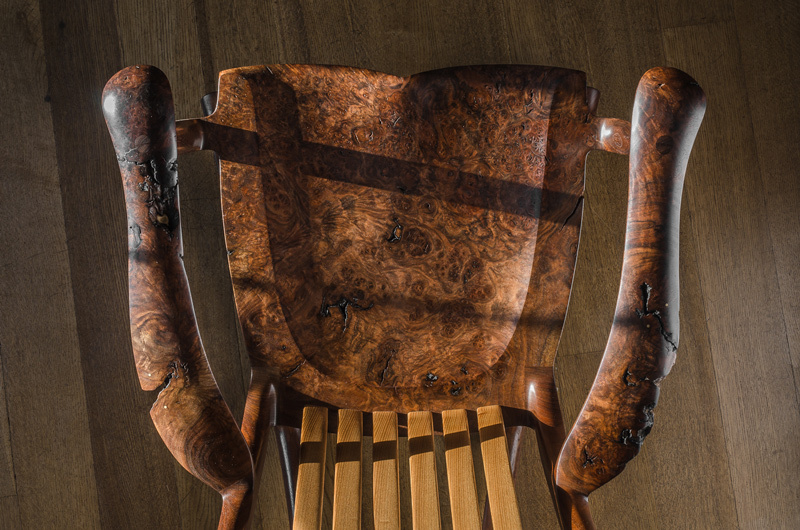 The idea was to take my father’s designs and reinterpret them in a new material that had never been used before in our shop: the burl of the California walnut and the bigleaf maple trees. 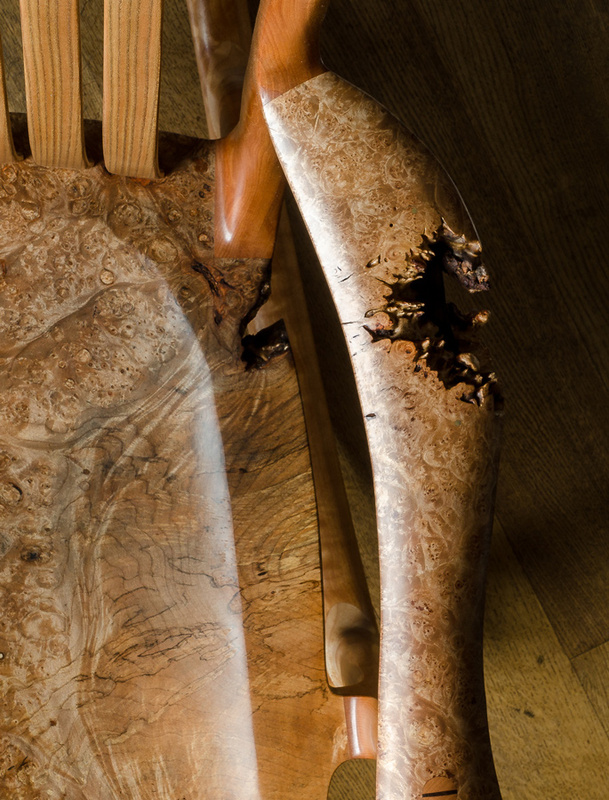 Burl is a naturally occurring growth where the buds of the tree start to grow inside of the wood itself, never blossoming, but producing wild grain patterns that resemble boiling water. 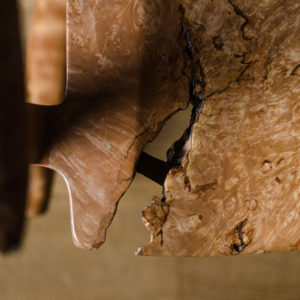 The growth produced by the burl can resemble a head of cauliflower, or a cloud, and one of the side effects of its erratic growth is the creation of cavities and cracks as it expands. 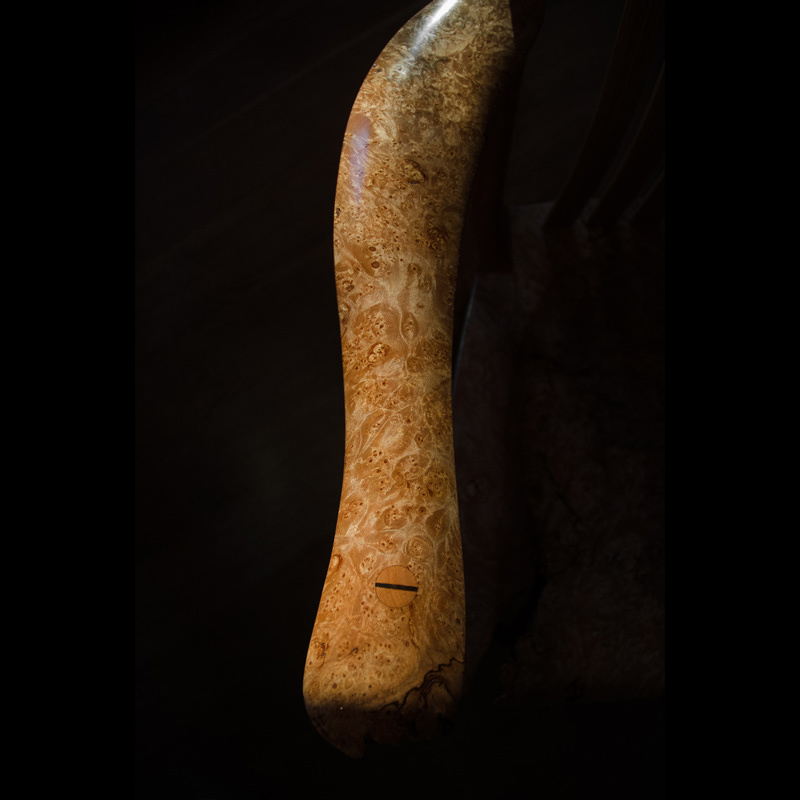 It was this negative space that is created in the growth of the burl that interested me, more so than the pattern of the grain which is more often what people look for in the burl. 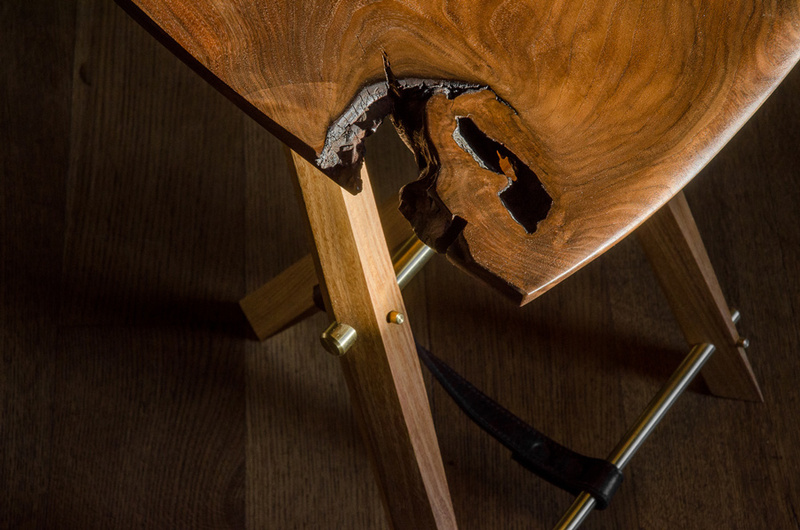 One of my favorite designers, George Nakashima, had famously utilized burl woods and their natural hollows in his work, but this was largely limited to the two dimensional planes of tabletops. Wood turners have also used burl in their bowls for years, but what I was imagining was something different than the perfectly symmetrical lines of a turning. 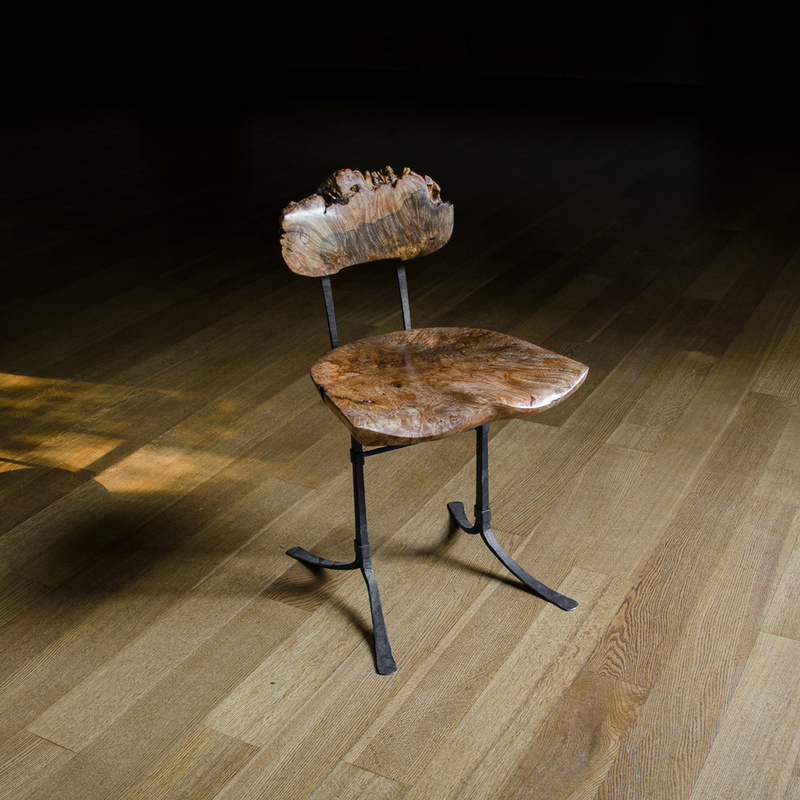 My father’s chair designs exhibit some complex three-dimensional geometries: most notably in the seat and in the arms. In these areas we can see—almost in mirror form—a reflection of the shape of the human body. 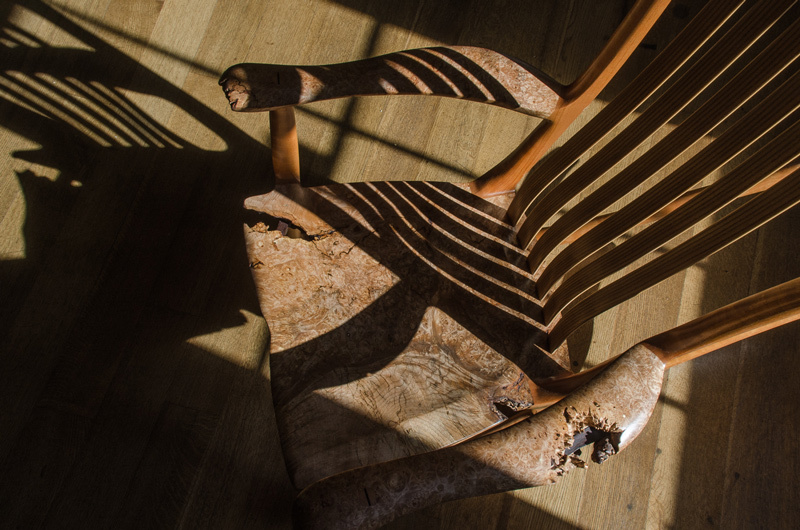 This congruence arose as a natural byproduct of the decades long efforts on the part of my father to build a comfortable chair: over time the chair came to resemble the human body that it was designed to serve. 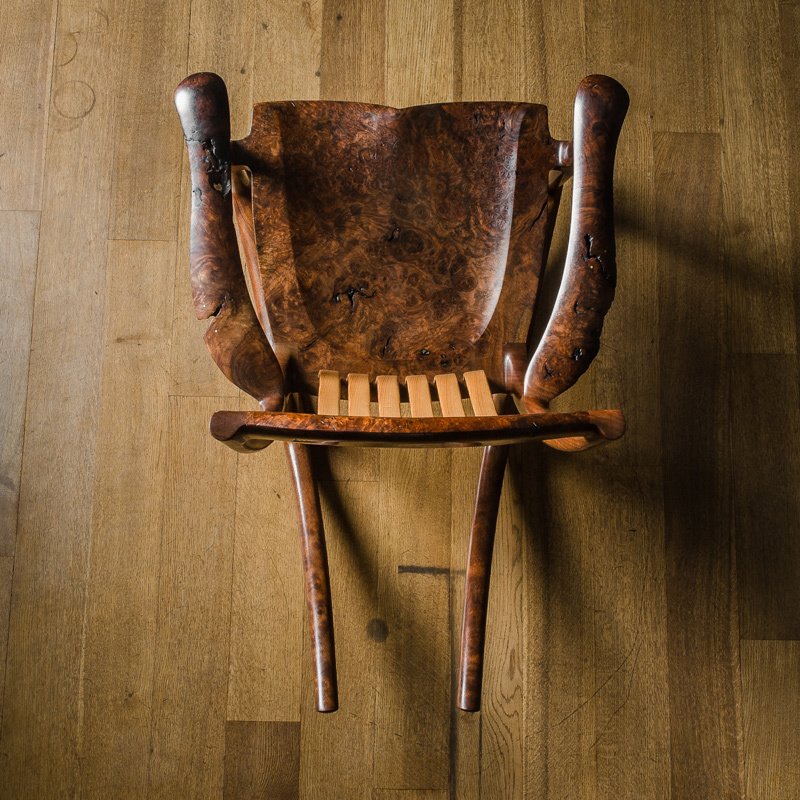 The curve of the seat reflects the thighs and buttocks; the arms widen at first where they sit underneath the thick part of the forearm, and then narrow at the wrist, and then widen again to accept the palm and fingers of the hand. My plan with the burl and its negative spaces was to disrupt these smooth curves, and introduce a note of wildness and chaos. The human body is only perfect in statues and photoshopped magazine covers: in reality it’s more complex, less symmetrical, and more surprising. 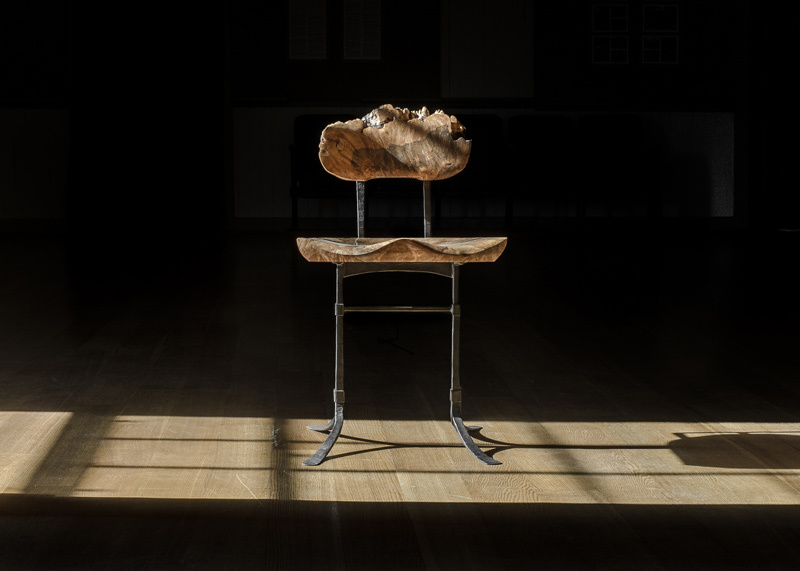 The burl in these chairs then becomes a further reflection of the true human body, in all of its surprising curves, sags, and hollows.